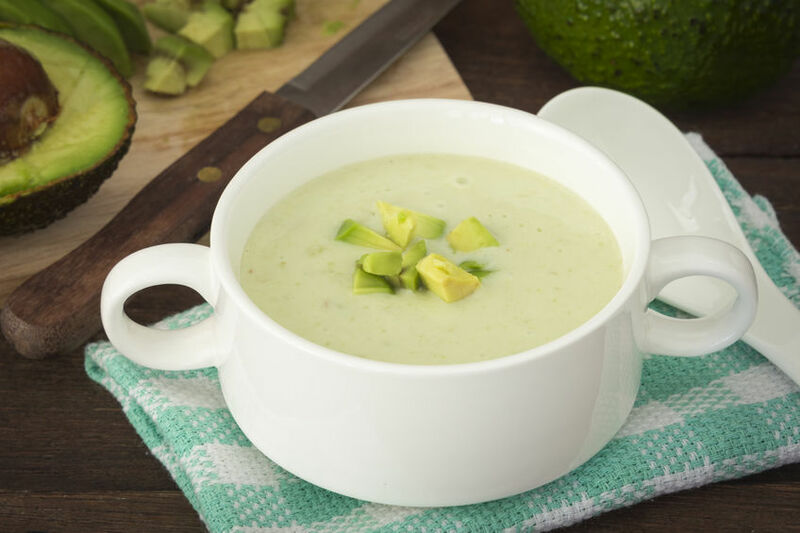 Cold soups are perfect for steamy summer days when you don’t feel like overheating the kitchen. They are refreshing and rehydrating too, a good thing since we sweat more in the summer. 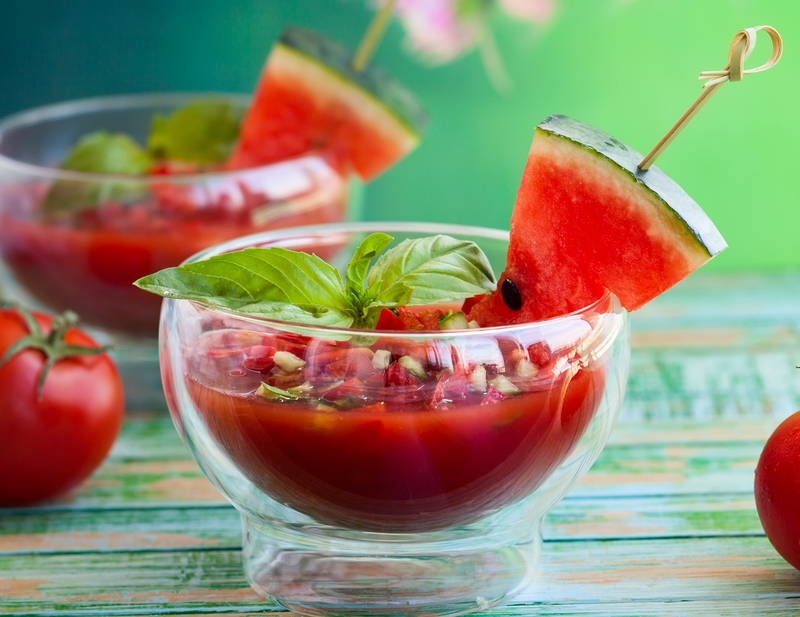 Try a chilled soup with crusty bread or rolls or a sandwich made with filling ingredients for dinner this week. Boil the beets in salted water until tender. Drain and let beets cool. Peel and coarsely grate the beets using the largest holes on a box grater. Combine the beets, cucumbers, pickle, brine, buttermilk, sour cream, and green onions with the vegetable broth in a pot or large bowl. Season with salt and pepper. Cover and chill for 1 hour. Taste and adjust seasonings, if needed. 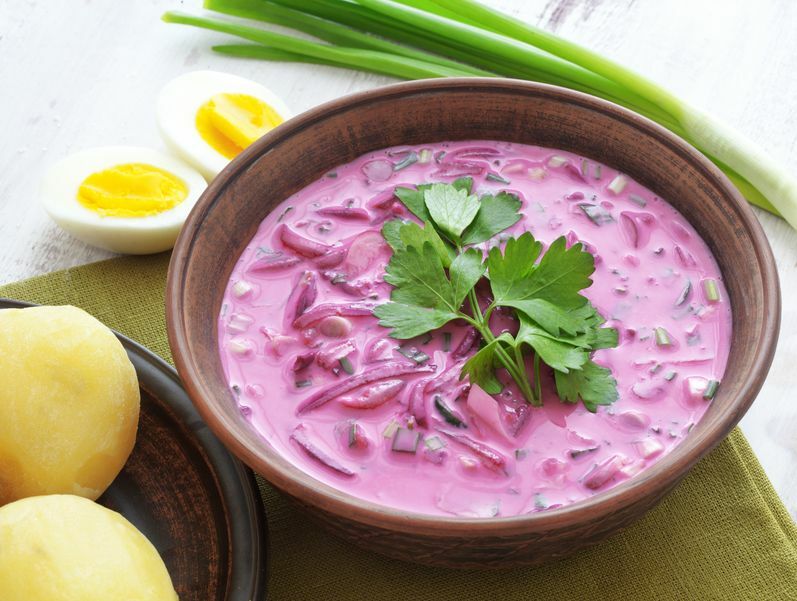 Divide soup among bowls and top with eggs and chopped dill and parsley. Mix diced veggies with basil, garlic, shallot, oil, vinegar, jalapeño, and salt in a large bowl. In batches, puree all except 1 or 2 cups of the mixture in a blender until smooth. Taste and season as needed. Chill for at least an hour (3 – 4 is even better.) Taste again. When you are ready to serve, top with remaining diced mixture and some more olive oil and any of the optional toppings that you like. In a blender, combine the cucumber, yogurt, lemon juice, mint, chives, olive oil, and salt. Blend until completely smooth. Taste and add more salt if needed. Stir in the reserved 1 cup of diced cucumber and the green onions. 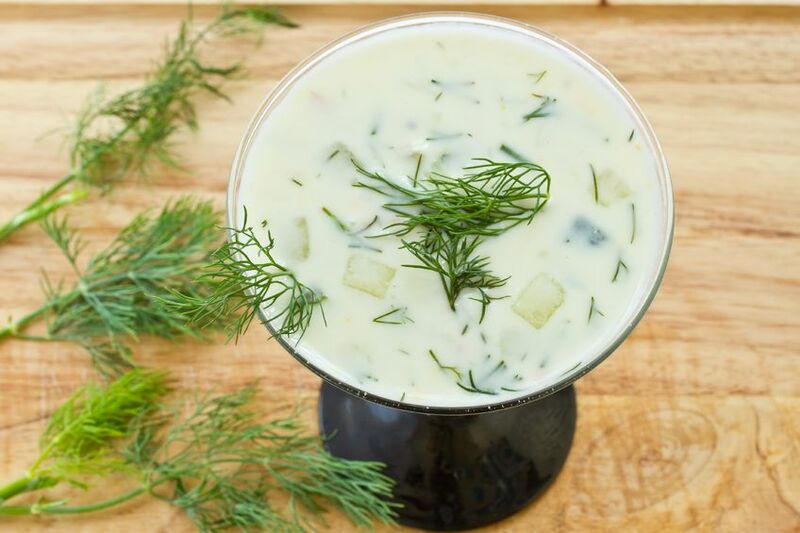 Serve garnished with additional chopped dill and chives. Add all the ingredients to a blender and blend until smooth. Taste and add more salt as needed. Serve immediately.